It was a little earlier to enjoy cherry blossoms. 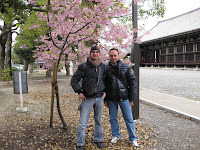 Ririko, a new member of Kyoto Free Guide and I guided two men from Italy and showed around Higashiyama area. 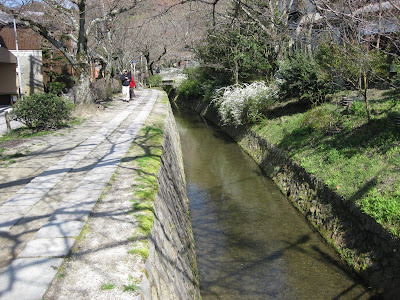 At Sanjusangendo temple we found cherry blossoms blooming a little. Even though, I was very happy to have them see some cherry blossoms. We took a picture with a cherry tree. At Kiyomizu temple, they bought many charms for their friends as souvenirs. I hope all the charms will bring his friends good luck and safty in their lives. Then! Next comes time for shopping!! 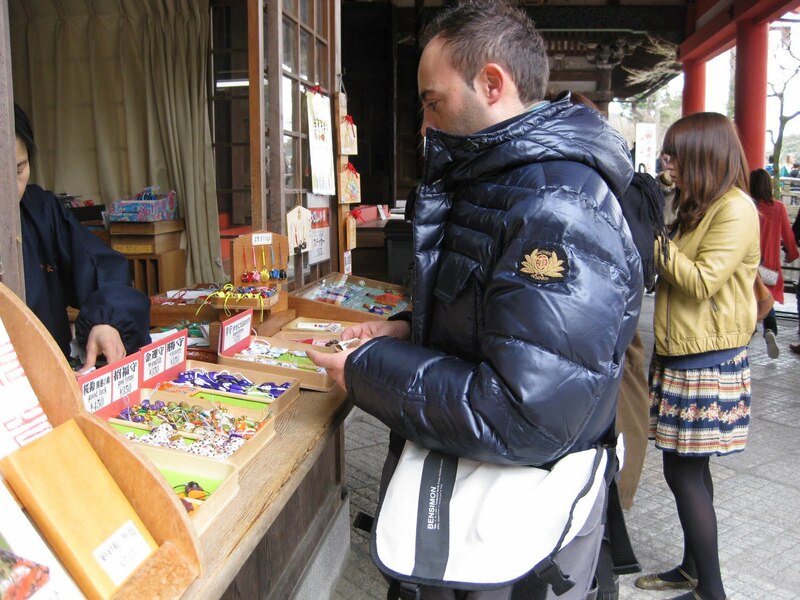 They enjoyed shopping walking along Sanneizaka and Nineizaka. One of them found nice potteries, hundsome Japanese bags made of Japanese fabrics and fans. After lunch, we visited Ginkakuji temple (Silver Pavillion). Ririko had to leave the tour due to her job, and the rest of us went on the tour. We enjoyed walking along the philosophy path. Though we were a little tired, we went Nanzenji temple. Then I took them to Heian Shrine. In front of the shrine, I had to say good-by to them. I walked and walked all day. During lunch time, one of them said he had lost two pounds because he had walked a lot and had been having Japanese food during their stay in Japan. Walking and Japanese food are probably good for being in good shape. It was too early for a cherry season, but when we found some cherry blossoms, we ran to them and took photos. 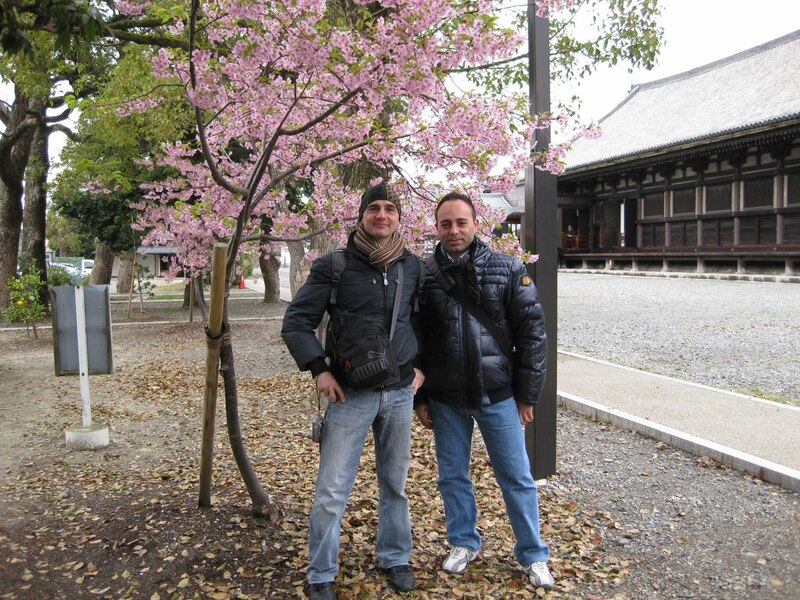 Cherry blossoms surely attracts us! I really hope they enjoyed cherry blossoms in Tokyo which they were scheduled to visit.